Cameron Bancroft struck an unbeaten century in his first one-day match since the end of his domestic nine-month ban, following last year's ball-tampering scandal, as Durham eased to a 72-run victory over Northamptonshire Steelbacks. Bancroft, Steve Smith and David Warner were all punished by Cricket Australia for the parts they played in the plot to alter the ball in the Cape Town Test against South Africa in March 2018. 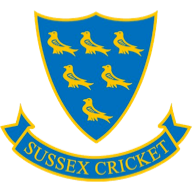 The Australian opener, named as Durham captain for the Specsavers County Championship and Royal London One-Day Cup this season, has been seeking early-season runs as he eyes a return to his country's Test side. After the hosts were put in to bat by Northamptonshire at Chester-le-Street, Bancroft found himself at the crease for the first ball of the third over after Ben Sanderson bowled opener Graham Clark (1) and had Alex Lees (4) caught behind. Despite the early losses, the 26-year-old Durham skipper shared a 119-run third-wicket partnership with debutant Scott Steel before the latter was bowled by Luke Procter for a well made 68. Bancroft continued to bat fluently, striking three fours and and four sixes as he brought up his century off 103 balls, as he put on Durham's highest List A fourth-wicket partnership with Michael Richardson. The pair shared a brilliant 208-run stand as Richardson also scored his third List A hundred, bringing up a brisk three figures off 94 balls before he was caught off Windies captain Jason Holder in the final over for 102. Bancroft skewed the penultimate ball of the innings away to the boundary for his eighth four to bring up his 150, as the Jets finished with 342-5 from their 50 overs. Northants lost a steady stream of early wickets in their chase but captain Alex Wakely (66), wicketkeeper Adam Rossington (43) and Windies skipper Jason Holder (86) looked to have them on track. However, when Wakely was caught off Liam Trevaskis the visitors lost 6-46 as they collapsed from 224-5 to 270 all out - Matty Potts taking 4-62. After being asked to field first in their game against Gloucestershire, Curran was the pick of the visitors' bowlers in Bristol, picking up 3-26 from nine overs as he sent down 35 dot balls. However, Plunkett went at nearly 10 runs an over, finishing with figures of 0-67 from seven overs, but Rikki Clarke's 4-43 helped bowl out Gloucestershire for just 235. 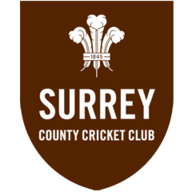 The hosts were then blown away in a chase that lasted just 24 overs, as Tom Smith (3-7) took three wickets in 11 balls for just eight runs and Chris Liddle also picked up 3-17 with Surrey bundled out for just 88 - Jason Roy top-scoring with 19. Visitors' skipper James Vince (55) and Rilee Russouw (56) also hit half-centuries as they edged their way to 310-9, following a middle-order collapse had seen them lose 6-87 - Kent debutant Matt Milnes impressing as he took 5-79. The hosts' response failed to materialise, opener Zak Crawley's 49 and Harry Podmore's 40 the only scores of note with three runouts doing much of the damage as Kent were bowled out for 220 in 40 overs. Opener Varun Chopra struck 111 off 133 while Sir Alastair Cook (40), Tom Westley (69) and Dan Lawrence (56) all provided valuable contributions as the away side made 326-7 from their 50 overs. All of Essex's bowlers combined to bundle Glamorgan out cheaply, all-rounder Ravi Bopara the most clinical with 3-26, while the hosts' South African seamer Marchant de Lange, batting at No.9, top-scored with 36. Having been asked to bat first by Leicestershire Foxes at Headingley, Ballance smacked 156 off 133 balls, in an innings that included 15 fours and six maximums, and shared a mammoth 211-run fourth-wicket partnership with Harry Brook who scored his maiden List A hundred before he was caught behind off Aadil Ali for 103. The hosts coasted to 379-7, the visitors never looked close to chasing their target of 380 as Mathew Pilans claimed his first List A five-wicket, finishing with exceptional figures of 5-29 to help bowl out the Foxes for 166. Rutherford (108) shared century stands with fellow opener Riki Wessels (72) and Mitchell (101) after electing to bat first at Old Trafford, though the visitors were bowled out for 367 in 49.1 overs after spinner Matt Parkinson took 5-51 - with James Anderson (0-59) going wicketless. In reply, England batsman Keaton Jennings (54) struck a half-century but the hosts were unable to put on any meaningful partnerships as and allround bowling effort from the away side helped bowl out Lancashire for 242.